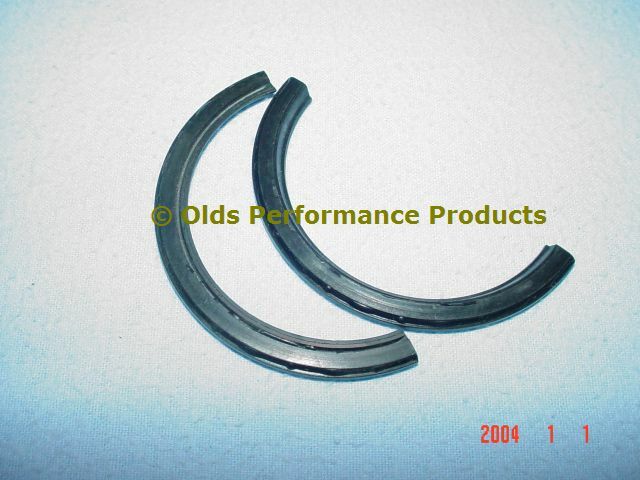 Description: In addition to the performance advantage over a rope seal, this Viton seal has the ability to seal engines with additional crankcase vacuum or pressures created from vacuum pumps or fuels that might cause more crankcase pressure than normal, such as alky, nos or mechanical fuel injection. Description: This rear main seal has a performance advantage over the conventional style rope seal. Reciprocating drag on the crankshaft is reduced significantly for added hp and torque benifits.